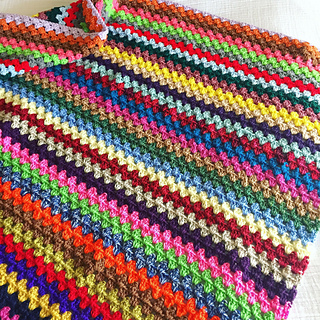 Crochet the Hermione Granny Stripe Blanket with all your leftover and scrap yarns! This blanket is named after everyone’s favorite bookish witch who loves to make things out of yarn. There’s nothing more magical than a good book and a cozy, crochet blanket! Pattern has now been updated with finished measurements, edging details, and more precise row instructions. Feel free to use the hashtag #hermionegrannystripe on Instagram to share your progress!